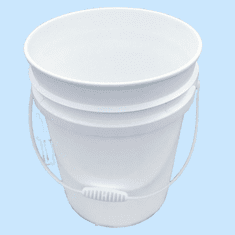 3 Pack of 3.5 Gallon Plastic Buckets & Pails White. Meets FDA, USDA, UFC, and NMFC regulations. These quality shipping, storage, and utility containers are the standards of the food and chemical industry. All colors except black are made with FDA Compliant materials. Polyethylene FDA approved leakproof and airtight! Will withstand 160° or even freezing. 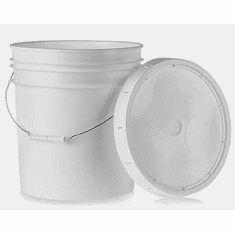 Product Description This heavy-duty industrial Bucket is great for larger jobs that require a heavier pail. 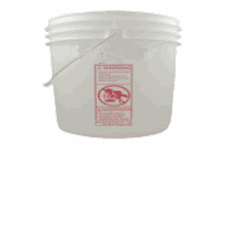 The 3.5-Gallon size makes it easy to move about the job. 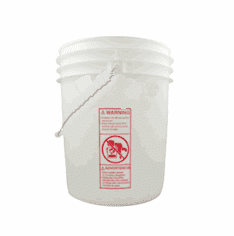 Our pails are molded from a low melt HDPE to ensure the best possible impact strength and resistance to cracking. 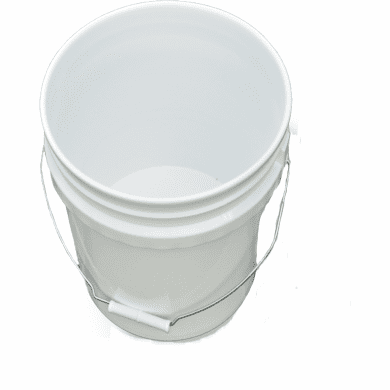 Our quality pails are widely used for paints, coatings, varnishes, water sealants, concrete patching, printing inks, soaps, and detergents. Dimensions11-7/8" Dia. (top) x 10-1/2" Dia. (bottom) x 10-1/4"